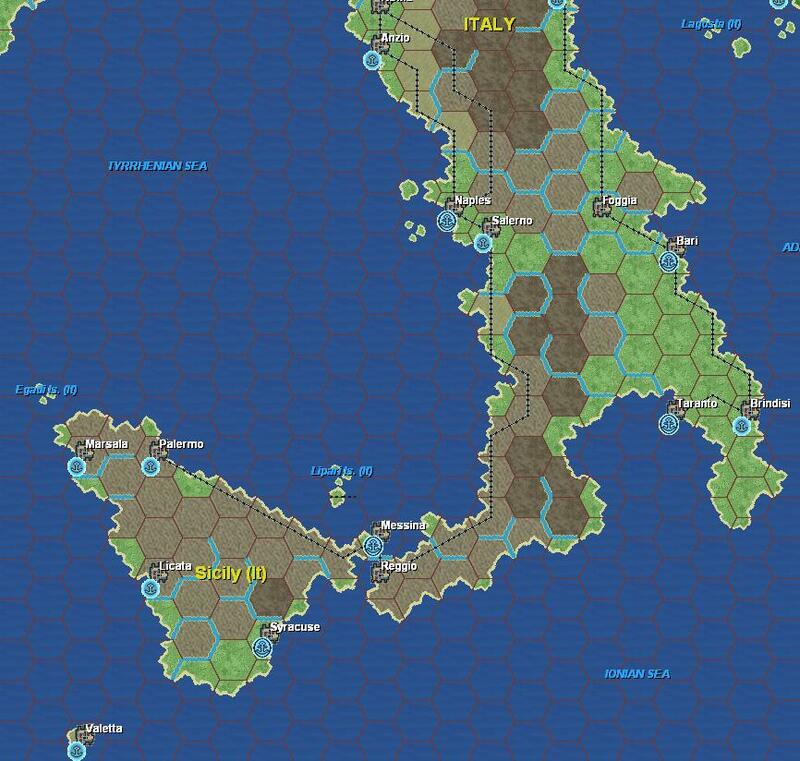 Status: offline Remember SPI's massive board game, War in the West and War in the East, which would combine into War in Europe? The Computer Version ( or rather the latest computer version, is out and available. It allows you to pick from 4 different rule sets and multiple options with several campaigns and scenarios. Decision Games sells it. There is no AI, so you either play Email or solo as all the sides. For those unaware there are 3 sides, Axis, Western Allies and the Soviet Union. It is Division level game of World War two in Europe, Soviet Union West of the Urals and North Africa-Middle East. Although the Soviets generally use Corps not Divisions. Each turn is a week with 4 turns combined into a cycle and a production portion prior to the start of each 4 turns, 13 cycles a year. The old Board game originally had on Germany and the Soviets producing but later add the West. The game allows the west, if you chose, to produce rather then us a set production track. U-boat war, Naval and Air war are a bit abstracted. If you ever played solo the Board game you will love the Computer version. If you just have to have an AI, this is definately not your cup of tea. Hope Matrix doesn't mind I posted this, it really is not in a direct threat to any of the Games Matrix sells. For a first release it doesn't seem to have many bugs at all, but really it is a second release, they built it up from an older game from some years ago and added a ton of features and rules options. A rather steep price but probably less than what a paper version would cost these days. Status: offline I have a near mint version of the old game if anyone wants to consider buying it PM me. I did set it up once complete with Plexiglas sheets covering the maps. It is impossible to play alone so maybe this will start a trend. Perhaps without an AI the old big games will make a comeback for those who fancy PBEM. I would like to see the Europa series done and programs added to help with all the book work and production. I am afraid that this might spell the doom of AI games..I hope not as some of us are not up to the requirements of a PBEM game. Status: offline Decision games also did a remake of the Board game, it cost 250 dollars and quickly was sold out. Status: offline I think there is a lot of the "buy it because its there" kind of thinking still out there. When I was younger and had more money I bought many of the board games I am going to sell to a web site because of that reasoning, including a copy of the original WIE. Just to set it up takes more space than many have and finding anyone to devote that much time to a game of that size will be difficult. I think that part of the reason I bought some 100 games back then was just to have them. Being retired now and times being what they are I am selling them (even WIE) because I need the money and I no longer hasve the time, money or space for a collection that I will never play. I don't think I am the collector type. I own 4 guitars including two hand made custiom 6 strings, one old guild 12 and a newer Taylor 6 string. I have ordered another custom 12 from the same guys that built my other two and will sell the Taylor. I gues 2 6 string and 2 12 string are more than I need. Status: offline Wasn't there a Med front addition as well? In any case, I would love Totaler Krieg or TSR's ETO and PTO to be remade in this fashion. Simpler rulesets, huge campaign = more people willing to play. Even with PBEM I would be hard pressed to get someone else devoting enough time to playing this with me. Remember SPI's massive board game, War in the West and War in the East, which would combine into War in Europe? The Computer Version ( or rather the latest computer version, is out and available. It allows you to pick from 4 different rule sets and multiple options with several campaigns and scenarios. Did yo uactually buy it? If so how is it? I played the demo and was impressed but it was only a 4 turn Polish campaign so not much air or naval fighting or production. Never played the board version. Status: offline I think this is a prime example of where the demo (not a demo) is bad. Short and a very complex game to boot. The demo was, for all intents and purposes, useless. It certainly didn't sell me. They would've been better with an interactive tutorial for a game like this...but we all know the reasons they give for not doing one. It put me off...and bearing in mind there's no AI and they want $60 for it, you'd think they'd try and sell me! I have a near mint version of the old game if anyone wants to consider buying it PM me. I did set it up once complete with Plexiglas sheets covering the maps. It is impossible to play alone so maybe this will start a trend. Perhaps without an AI the old big games will make a comeback for those who fancy PBEM. I would like to see the Europa series done and programs added to help with all the book work and production. I p[layed it a number of times but always with at least 5 players. It was a blast. It's not nearly as complicated as you would think judging by the map size and number of counters. The actual game play was easy. It was all the other stuff (production, air interdiction etc that took the time). Playing it with just 2 people would be tough but you could do it. A mint copy should be worth quite a bit. Hope you get some offers! Status: offline I just ordered it. All my hundreds of board games are in storage back in Idaho and I haven't seen them for years. SPI's War in Europe was always my favorite. Had it set up in one room for many years and played it mostly solitaire. It should be great having it on the computer and having all the editing options it has. I just ordered it. All my hundreds of board games are in storage back in Idaho and I haven't seen them for years. SPI's War in Europe was always my favorite. Had it set up in one room for many years and played it mostly solitaire. It should be great having it on the computer and having all the editing options it has. I think you will be happy. I loaded my copy right before tax season ended. But all I was able to do was take a quick peek. It brought back many memories. My buddy and I had planned to start a PBEM May 1, alas that has been pushed to either June 1 or July 1 (life is getting in the way of FUN). I think there is a lot of the "buy it because its there" kind of thinking still out there. When I was younger and had more money I bought many of the board games I am going to sell to a web site because of that reasoning, including a copy of the original WIE. 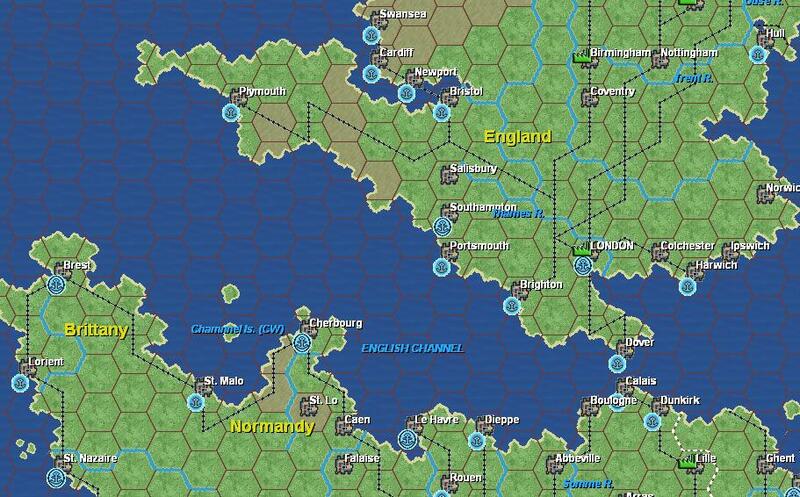 Have you looked into Consimworld ? Games like WIE were the reason that conference was created. I'm not a close follower of that forum or "genre" but I'll bet you can find someone there who will meet with you and play the game but yeah, you'd need to travel to Phoenix. BTW, is your copy of WIE punched ? Note that a PDF version of the manual is included in the demo. The demo sold me and I bought the game. As I get into the nuts and bolts I find it is a very good game. I intend to play a few short Scenarios PBEM before playing any Campaign games. Errata: The game was a board game made for computer. Some of the fans treat it like that. I hope to influence the developers to add some engancements along the lines of "utilising computers to make wargaming better". A demo of the game can be downloaded. The demo includes the full manual. The game has that board game look and feel but it is not as board gamey as the screen shots make out. The game has a series of Scenarios and Campaigns. 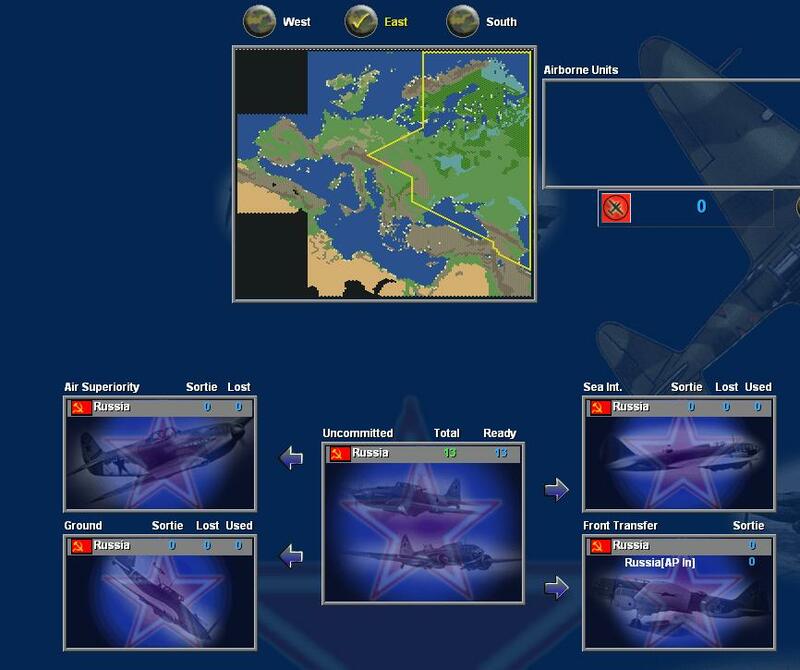 The final screen shot shows how tactical air warfare is resolved. Status: offline sorry about the late reply but computer problems with my other main system. I have now sold my 70+ games to Noble Knight Games for a fair price. My WIE game was punched in 4 trays and missing only one French unit which they replaced. The last time I looked I think it was priced at a little over $200. The whole experience of checking some 70 games was interesting because out of that number perhaps maybe 25 were top selling games and the rest in the $20-40 range. There were a number of odd entries that I have not seen o the site yet In spite of what Mr. E has said elsewhere Noble Knight Games is a great place to do business. Status: offline does this game have TCP/IP online play?If so I may actually get this despite no AI.Looks like fun and well thought out game. Status: offline The play modes are 'hotseat' and PBEM only. There's no direct TCP/online mode. It was discussed during the early development planning, but with main campaign turns sometimes taking up to an hour to complete it was felt the 'non-phasing' player would quickly loose interest. The focus has been on making PBEM as simple and quick as possible. The play modes are 'hotseat' and PBEM only. There's no direct TCP/online mode. It was discussed during the early development planning, but with main campaign turns sometimes taking up to an hour to complete it was felt the 'non-phasing' player would quickly loose interest. The focus has been on making PBEM as simple and quick as possible. The demo will allow you play the first 2 months of Operation Barbarossa, including the first two Russian Production cycles (the previous Demo did not include production). Did yo uactually buy it? If so how is it? I bought it pre-order and have been playing it pretty much non-stop since it was released. I am currently in a PBEM game against Halsey, another WitP fanatic like me from these forums. The initial learning curve is steep if you've never actually played the board game as I hadn't, but it is nowhere near as complex or difficult to learn as a game like WitP. I found once I'd fully read the manual and played about 1 year of the game, everything had become second nature to me. I can now do an average turn in about 15 - 30 minutes, depending on how active the war is. Clear turns in the spring and summer are very busy turns, mud and snow turns, not so much. Overall, I enjoy the game a lot. My only gripe is one with the air point system the game uses. It's too all or nothing for my tastes. As an example, it is futile as the western allies to try and contest the air space in the west zone in the early game. If you place points in the air superiority box, they'll simply be overwhelmed and annihilated by the far more numerous German points. So what you have to do is stand down your air points and build up strength until after Germany attacks France and the low countries, which means you concede the air totally to Germany. Then you send everything up when he attacks France and there are a few turns of combat until one side or the other becomes clearly dominate. Then the losing side stands down and begins building up its strength, thus totally conceding the air space. I'd prefer a system that wasn't so devastating to air strength and allowed both sides to keep a continual air presence no matter how outnumbered they are. But the 1/6th chance each air point assigned to air superiority has to shoot down an enemy air point means the more outnumbered you are the faster you get destroyed. Basically it's like Risk, every point you have gets to roll a die. Now don't get me wrong, the system works in game as designed, and it does follow historical expectations. Germany is dominate early on when it needs to be, so it can land in Norway and take out France. The western allies build up dominance eventually in time to counter-attack in Africa. Russia gets blown away in 41, but like the allies it too eventually builds up enough strength to contest the air by the first winter. And by spring 42 the axis regains superiority in Russia again, etc. etc. I would just prefer a more detailed air game. But I guess I'm spoiled by all the air unit detail in WitP and miss it. I'd recommend this game to anyone interested in a good old fashioned board game on the PC. There are a few minor bugs, but from what I've read on the forum for the game, these are being squashed almost as soon as they have been reported, and a patch will hopefully be out soon. Status: offline Now I think I know what I'm getting for my B-day!!!! Very interesting....thanks for the posts guys. As an example, it is futile as the western allies to try and contest the air space in the west zone in the early game. If you place points in the air superiority box, they'll simply be overwhelmed and annihilated by the far more numerous German points. But you have missed something! (see screen shot in a post above. That is a Soviet screen shot and 13 APs are available for use.). Each AP rolls one dice. The Axis know that mathematically they will lose 2AP in the combat. And due to bad luck will probably lose 2 more. The Axis need 6 in the air superiority box to stop the Allies gaining air superiority and therefore the Axis player must place 10 in the Air Superiority box. Thats 10 air points that cannot be used for ground support and it takes just a bit longer before France falls! On the other hand if the Allies have fewer air points in the later stages of the game, it takes just a bit longer before Berlin falls. One of the grand decisions in a Grand Strategy game. 2. How does weather work? 3. Do you have to have the disc in to run it? 4. How is the naval game? 5. Does terrian effect combat as well as movement? Status: offline 1. Whats the scale? Each hex is designated a “climate” from arid desert through to artic. Given the season and the climate there is a high chance, medium chance or low chance of good/bad weather. 5. Does terrain effect combat as well as movement? Yes. Difficult terrain have combat modifier of -1 and an attack across the river has the same. And bad weather produces more modifiers. Status: offline Thanks Joe. Sounds good. If your wondering about number three(3). matrix and Ageod have spoiled me. I hate hunting down my disc. I like click and go-after install. Status: offline I must admit this sounds very tempting while waiting for WiF. Is there an active PBEM community? Status: offline I've been through both WIEast & WIW boardgames in the SPI days and regularly played them solo or FtF. An excellent and simple system. I also got the original CWIEurope and again, it was a simple system and easy to play. I got the Poland demo and was a bit put off, more chrome without extra value. 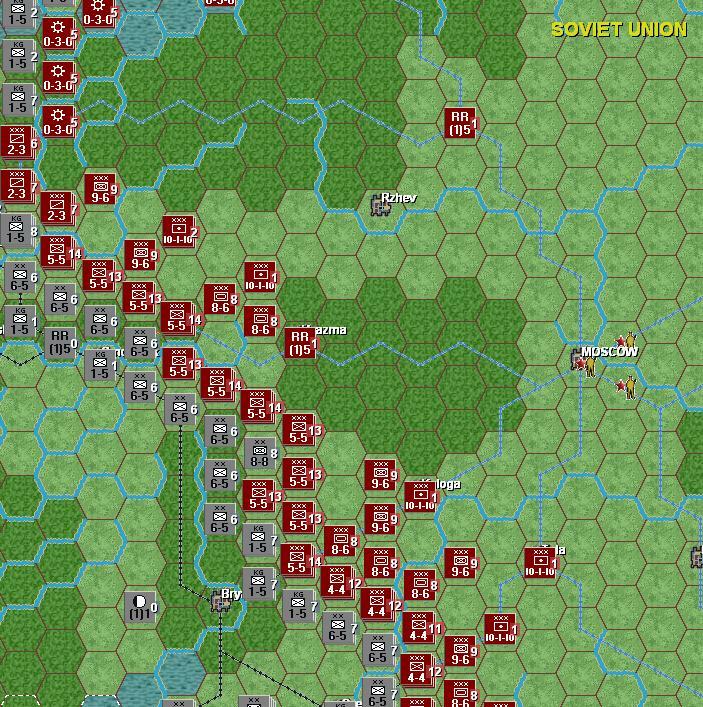 Maybe the larger Barbarossa demo offered will display the game better. It may get a sale from me as waiting for WITP is becoming tedious.